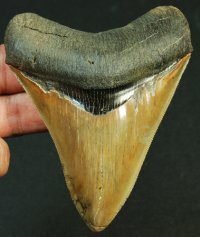 Ultra Rare CUBAN Megalodon Tooth [MEG1049] : Fossils Online, Welcome! Yes, you read the title corectly. The best I have posted on the site and one of the best I have had. I have only had a handful of really nice teeth from here. Don't miss out. 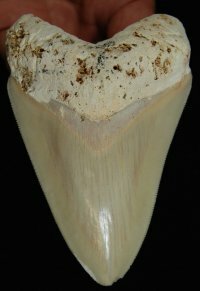 This tooth is from Cuba and was found in one of the limestone quarries there. 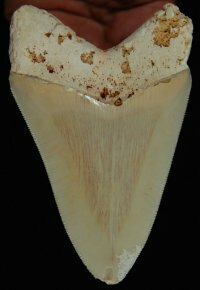 I don't have exact locality information, but I will include a copy of a paper that Gordon Hubbell co-wrote on the fossil shark teeth of Cuba that highlights the areas where fossil shark teeth are found and the ages that the various mines dig into. 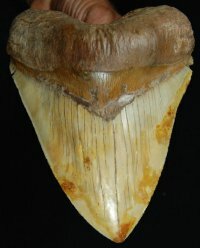 A very rare opportunity to obtain a tooth from an extremely rare locality.